Ivory Coast presidential elections will take place on the 25th of October, and barely 2 weeks to the set date, there are already whispers of a ‘rigged’ election. Ivory Coast’s President, Allasane Quattara has been accused of colluding with the Electoral commission of the Ivory Coast to ‘sabotage’ the elections. Quattara, who is contesting for a second term in office through his party Rally of the Republicans, is receiving backlashes from opposition candidates who have called for dialogue with him. They reportedly want the dissolution of the Electoral Commission in the country. October’s election marks the first election held in this West African Country since 2010. The President of Ivory Coast in 2010, Laurent Gbagbo, refused to cede the Presidency to Allasane Quattara who had been declared the winner. This triggered a civil war that lasted 5 months and killed about 3,000 people. Allasane Quattara was later installed as the President through the combined efforts of the African Union and French forces. Laurent Gbagbo is currently awaiting trial at the International Criminal Court (ICC). However, it seems the story may remain the same. 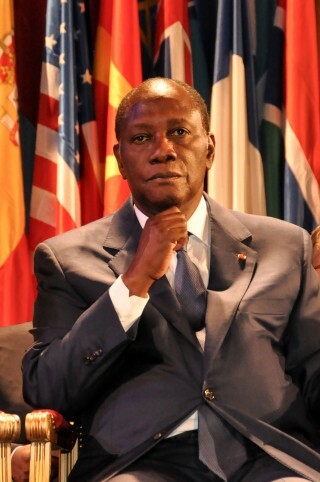 Quattara is currently being accused of repeating his predecessor’s actions; holding on to power by all means. Last week, Amnesty international accused the Ivorian Government of ‘harassment maneuvers and continual intimidation’ of the opposition supporters. Quattara, whose candidacy as president is controversial, has overseen an economic boom in Ivory Coast from 2010 till date. In an effort to challenge Quattara for the elections, the opposition parties formed a coalition, National Coalition for Change (CNC) in May. Out of the 10 candidates set to contest in the elections, 5 of them threatened to withdraw from the elections last week, commenting that the country is not ready to hold ‘credible and transparent’ elections. Out of these 5, one has suspended his participation while another has quit. Amara Essy, a former Ivory Coast foreign minister decided to suspend his participation last week Tuesday, saying he would not contest in a poorly managed election, referring to Allasane Quattara’s influence on Ivory Coast’s electoral commission. With opposition candidates presenting a broken front, it will be hard for them to dislodge Allasane Quattara from the Presidency. On the 25th of October, Ivorians will troop out en-mass to vote for their candidates.